Mathematically, speaking, parity has to do with being odd and even … with balance. When binary data is transferred within or between computers, a parity bit allows the receiver to determine if an error has occurred in transit. In the diagram at left, the original data is grouped eight bits at a time. A ninth parity bit is added to ensure that each parcel of data (including the parity bit) has odd or even parity as required. The receiver can then deduce whether a bit may have been changed/corrupted during transmission. Parity can also be thought of in a binary sense … yes/no, black/white, on/off, etc. Quite a few problems become easy to understand when viewed in this way. I challenge you to perform a very simple task ... to cover the squares of a chessboard with dominoes. But, there is a twist! We first remove two squares from opposite corners. This leaves 62 squares. Theoretically, it should be possible to cover them using 31 dominoes, since each domino covers two adjacent squares. Can you do it? If you are like most people, you will get or make a board or draw a diagram like the one above and try it out for yourself. After a few attempts, you may begin to believe this is impossible. But ... is it impossible? Is there a clever solution that you overlooked, or is it possible to prove that no solution is possible? Mathematicians are able to analyse problems like this using a concept of parity ... in this case, the black and white squares of a chessboard. Watch this video and learn how this very clever insight is used to prove whether the problem is solvable, or not! 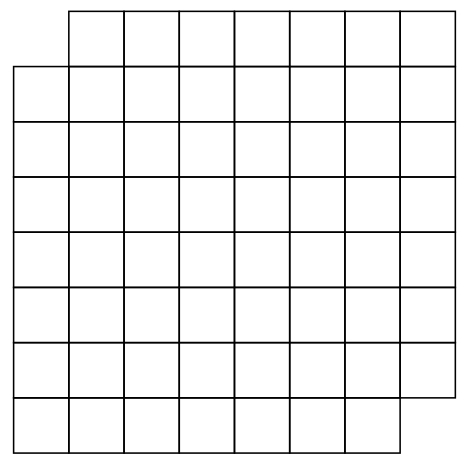 When you have done that, you might now like to answer these questions: Is it possible to cover the remaining 60 squares if you remove all four corners and only use 30 dominoes? What if you only remove the bottom two corners and use 31 dominoes? See how simple the puzzles becomes once you have gained this insight? I hope you enjoy the discovery.